The best amount of the wage hike is still up for debate. Some hard-liners convening in Harrisburg for a march to the Capitol want to see the wage go up to $15. The state’s current minimum wage is $7.25. Democratic proposals range from a boost to $10.10 to $11.50. A lone Republican, Sen. Scott Wagner, R-York, has proposed $8.75. 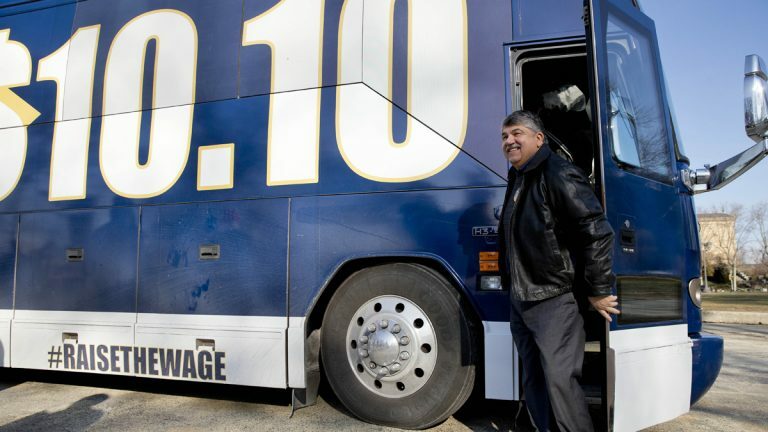 “Tom Wolf and I both agree the minimum wage has to be over $10 at least, and I think we can do that,” said Lt. Gov. Mike Stack, before marching with supporters to the Capitol Monday. The plan has no commitment from the GOP-controlled House and Senate, but supporters are optimistic. “When we come back in the spring, probably after appropriations hearings, we are going to have a hearing on the minimum wage,” said Sen. Christine Tartaglione, D-Philadelphia, whose proposal calls for a $10.10 wage. 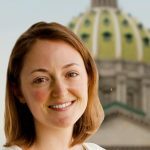 “And it’s not just going to be skewed one way.” Mark Price, a labor economist with the liberal Keystone Research Center, said Tartaglione’s bill would boost pay for more than a million people in Pennsylvania, affecting everyone who makes a little more than $7.25 an hour as well as those who make a little bit more than $10.10 an hour, as employers factor the new minimum wage into their own pay scale. “They probably have workers who are under $10.10, and they have some workers who are maybe right at $10.10,” Price said. “If you raise the minimum wage to $10.10, those that are already at $10.10 will have to also get a raise.” Business groups cite fears that a wage hike will force employers to scale back on hires, leading to job losses. The Pennsylvania Chamber of Business and Industry said lawmakers should focus on workforce training, so more people can leapfrog over low-wage jobs to get the skilled work that often pays better. The state last passed minimum wage legislation in 2007, when the wage hovered between $6 and $7 an hour. In 2009, Pennsylvania’s wage increased with the federally mandated minimum wage.